Great Village Voice Interview with Robert Plant, though it’s a bit dated. A pointless exercise – I agree, Robert – I hope the next time through you play a better venue than the BofA (or whatever bank/telecom buys it by the next time you tour) Amphitheatre. The sound was awful. I used to believe in rock and roll, until it became a commodity in a numbers game. So when Led Zeppelin reunited last year for a one-off London show, I waited for the inevitable announcement of an annuity tour, a la McCartney or the Stones. Football stadiums with parking pricier than tickets used to be, zillionaires in luxury boxes, and fans spending more time bragging on cell phones than watching the show. 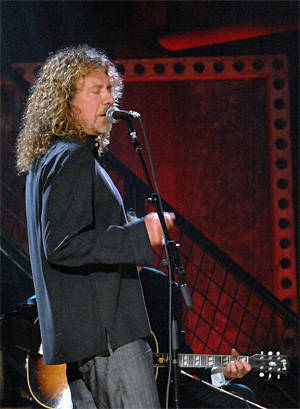 Rumors followed, but the only real Zeppelin news was Robert Plant hitting the road with Alison Krauss (the tour hits Boston June 5). That made me smile. Money is king, but a member in the pantheon of rock’s immortal bands chose another path. Forget “Stairway to Heaven” – Plant was having more fun playing bluegrass and covering old Everly Brothers songs to care about a big payday. With “Raising Sand,” the album he recorded with Krauss on the iconoclastic Rounder label, Plant made a statement: he’d rather make art than cash. Then the rumors became more insistent. Two weeks ago, NME reported on plans for four Zeppelin shows this August at the Toronto Skydome. Say it ain’t so, Bob. One of rock’s two great moments of the last 20 years was Pink Floyd’s five-song set at Live 8 in 2005. The second was Zeppelin’s show at the O2 last November. 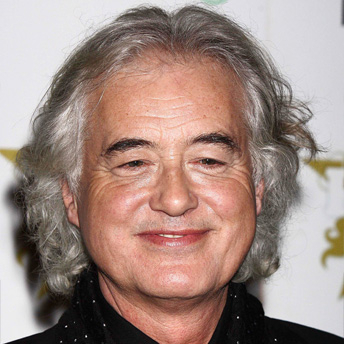 In both cases, the bands reunited for a specific reason – Pink Floyd to call attention to the G8 Summit, and Zeppelin to pay tribute to Ahmet Ertegun, the late president of Atlantic Records. After each show, every prognosticator and Ticketmaster stockholder on the planet predicted a big cash-in that didn’t happen. I saw Zeppelin in the Seventies. I saw the Stones, the Who, Clapton and three of the four Beatles. Maybe it’s unfair to deny that to someone who couldn’t experience it then. But here’s the thing. No amount of money will recreate the alchemy of 35 years ago. You’d just be paying too much to make your friends jealous. There are better things to do with a camera phone. Is it worth 500 bucks to see the Larry Bird of 2008 play basketball, or a crusty old Dennis Hopper reprise his role in “Easy Rider”? Why is this any different? Instead of heading back to Jurassic Park, let’s create some new memories to share with our own children. Thursday: Lori McKenna/Mark Erelli, Bellows Falls Opera House – This is the kickoff concert for Roots on the River, a festival that attracts fans from all over the world. Four days of music for less than it costs to see Heart at the Verizon – need I say more? Highlights include the Bottle Rockets Friday, Eilen Jewell’s Depression-era music and the laconic Steve Forbert Saturday, and Mary Gauthier’s set with Roots ringmaster Fred Eaglesmith Sunday. Friday: Natalie MacMaster, Lebanon Opera House – If you haven’t experienced the boundless energy of Cape Breton’s top musical export, then you have no excuse for not attending this performance. MacMaster exemplifies why Nova Scotia is North America’s Ireland. This time around, she’s performing with her husband, Donnell Leahy, who’s also an amazing fiddler, so the sparks should fly. Saturday: Dr. Burma, Salt Hill Pub – With 20-plus years playing area clubs, it’s not too much to call this band a musical institution. Tonight, Dr. Burma plays a show to celebrate the release of “One Bite Won’t Kill You.” It’s only their second CD, but it was definitely worth the wait. This is a blues-rock powerhouse that always has the crowd up and dancing, and the new record is a gem. Sunday: Pete Merrigan, Digby’s – Summer must be here, because Pete’s back in town, and his Sunday deck shows continue. Though Murphy’s has a new name, the vibe in Sunapee feels exactly the same, with plenty of cold beer and margaritas, plates piled high with nachos, and a sing-along every other tune. It’s still one of the best ways to spend a weekend afternoon. Tuesday: Joshua Hall, Canoe Club – Hall is a middle school music teacher who duets with a lot of area guitarists, but tonight he flies solo. Canoe Club continues to be a great friend of music, with shows just about every night of the year. Recently, the club presented an R&B dance concert with the Willie Edwards Band, which will be reprised June 28. Wednesday: Acoustic Coalition North, Inn At Idlewood (Sharon, VT) – The popular Quechee gathering now has an upcountry branch. The Inn has a fine fresh food menu, an enormous deck (5,000 square feet – that should fit a few guitars), and a great old barn for when it rains. The weekly jam session stills gathers Tuesdays at its summer home located in the Quechee Base Lodge.